Jean Rédélé’s Alpine began as a modifier of Renault cars for racing events. He founded the company in 1954 and the first true Alpine car appeared in 1955. But the company is known mainly for one model: the A110. This car was available in different forms between 1961 and 1977, racking up some series World Rally Championship victories along the way (including the 1971 Monte Carlo Rally). Like all Alpines, this car is Renault-based. The 1600 S was a hotted-up version of the cozy little rear-engined coupe. In fact, it was the second most-powerful version they ever made. It is powered by a 1.6-liter straight-four making 138 horsepower. The 1600 S could only be had from 1970 through about 1971, though this is listed as a ’72. This car looks really nice but is definitely a driver – which is good because, despite the relatively modest power rating, these are light, nimble cars that would be a lot of fun. About 7,500 A110s of all types were built, but narrowing down to this model is sort of difficult. Anyway, it’ll sell for between $100,000-$115,000. Click here for more info and here for more from this sale. 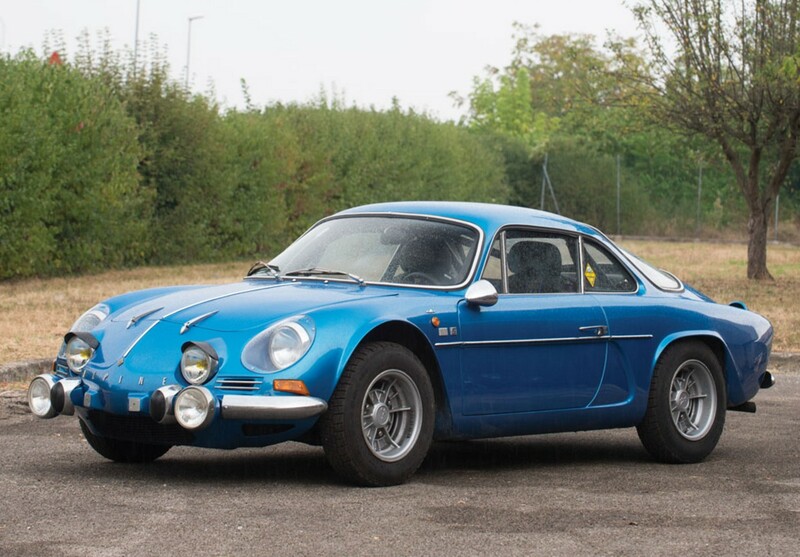 This entry was posted in Uncategorized and tagged 1600 s, 1972, a110, alpine, auctions, cars, classic cars, renault, rm sothebys by classiccarweekly. Bookmark the permalink.